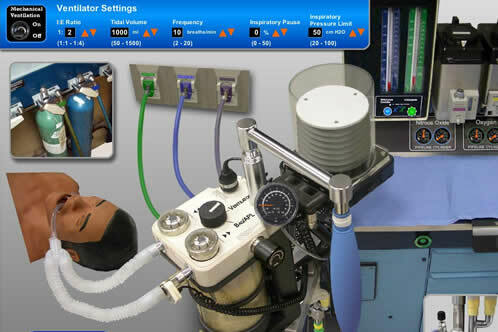 This page lists the simulations available to individuals that have been sponsored or have purchased access to the VAM Instructor area (US$100/yr). 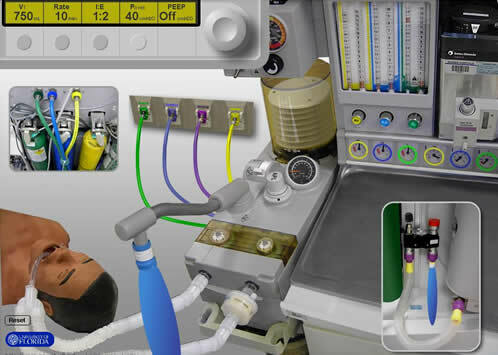 The "black box" simulation below is an interactive, model driven simulation of the Modulus II anesthesia machine that uses an opaque representation instead of transparent reality. Press the F11 function key to minimize browser toolbars and toggle F11 again to reinstate toolbars. 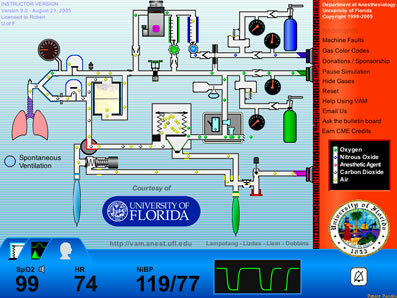 The "black box" simulation below is an interactive, model driven simulation of the Aestiva anesthesia machine that uses an opaque representation instead of transparent reality. Press the F11 function key to minimize browser toolbars and toggle F11 again to reinstate toolbars.